Chapter 1. 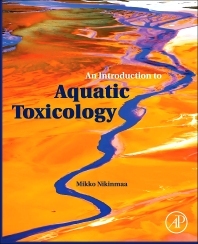 Introduction: What is Aquatic Toxicology? Chapter 2. What Causes Aquatic Contamination? 13.4. Has Potentiation or Inhibition of Toxicity by Chemical Interactions been Demonstrated in Natural Environments? 14.4. What Signifies a Chronic Toxicant Response? Mikko Nikinmaa got his high school diploma (International Baccalaureate) from the United World College of the Atlantic, Llantwit Major, U.K. His university education including the Ph. D. degree he accomplished at University of Helsinki, Finland. He did postdoctoral work in Odense University, Denmark, and Stanford University, USA. Thereafter he worked in the University of Helsinki with research visits to University of British Columbia, Vancouver, and Dalhousie University, Halifax, Nova Scotia. In 1995 he was appointed Professor of Zoology in the University of Turku. He was the President of Scandinavian Physiological Society in 1994-1996, and a member of National Research Council of Environment and Natural Resources in 1995-1997. He served as a Dean of the Faculty of Mathematics and Natural Sciences in 2000-2004, and was the director of the Center of Excellence in Evolutionary Genetics and Physiology (appointed by the Academy of Finland) in 2006-2011. He has been chief editor of Aquatic Toxicology since 2004 and subject (respiratory and comparative physiology) editor of Acta Physiologica since 1997. Presently he is editorial board member in four journals. His approximately 200 publications include a book on Vertebrate Red Blood Cells published by Springer and a review on Membrane Transport and the Control of Haemoglobin Oxygen Affinity in Physiological Reviews. He has reviewed grant applications to agencies from more than ten different countries, and served as an evaluator of academic positions in USA, Canada, U.K., Sweden, South Africa and Finland. More than 30 journals have used him as peer reviewer. His research interests lie in how environmental changes, particularly temperature, oxygen and toxicants, affect cellular functions especially in fish. An important aspect of research is environmental regulation of gene expression, for example how toxicants, oxygen and temperature changes affect transcription, translation and protein stability.